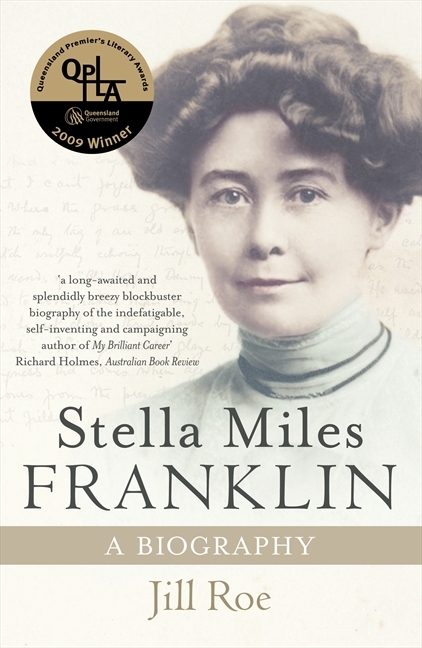 Jill Roe opens her massive biography of Stella Miles Franklin with a simple two page prologue which manages to carry much information lightly. She tells the story of Stella’s mother riding by horse to her own mother’s house to give birth in 1879. In doing so, she maps out the territory of southern NSW which one senses will be essential as the backdrop of Stella’s life. She gives a brief account of Stella’s ancestry by unpacking her name, covering details which could go on for boring pages in a less well crafted biography. Surely acknowledging the limits of the archives well is a key part of a good biography, and in the prologue the gaps are noted: she took a different route ‘for reasons unknown, possibly to do with the weather’ and ‘it is not recorded whether she was accompanied’. Perhaps these signals can provoke the reader to imagining the scene better and to assuming some responsibility as co-re-creators of the life of the subject as they read.